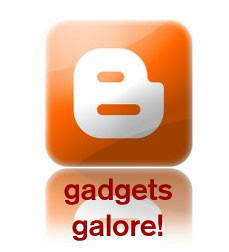 Blogger will soon upgrade the widgets available for our blog layouts to include all available Google gadgets. An impressive library indeed! You can currently see this in action in Blogger in Draft: rather than being prompted to "Add a new page element" to an area of your blog, you will see the link to "Add a Gadget" instead. What's more, the pop-up box has been given a whole new makeover, with oversized icons to hint at the functionality of the gadgets on offer. There are literally hundreds of Google Gadgets available to use in your Blogger layout. These are organized by category, though you can also use the integrated search function to easily locate the perfect widget for your needs. So what new gadgets are available? Digg 2.0: Feature top news stories from the Digg homepage which you can organize by category to suit your own blog's subject matter. BBC News Feeds: This tabbed widget allows you to display between 3 and 15 headlines in different categories. New York Times Home and Garden: Another tabbed widget to feature news headlines from this unusual news source. Wikipedia: Adds a search function for your readers to search Wikipedia. Features different language options and the ability to open search results in the page. Calorie Calculator: An easy way to monitor your daily calorific intake. Bandwidth Speed Test: I like this one! This will offer statistics of your broadband speed to check how effective your ISP really is! Google Talk: See your contacts and send instant messages to your friends. TeleMessage SMS Sender: This is a great idea! Offer your readers a way to send SMS from your blog (including international numbers). Messenger: MSN Live Hotmail, Messenger, Spaces and Search widget without ads. PostSecret Photo Slideshow: This is my favorite gadget in this section, which displays a slideshow of postcards from the popular PostSecret blog. Pacman: Play the classic arcade game on your blog! Simpsons Millionaire: Play a Simpsons themed version of the "Who wants to be a Millionaire game! Google Finance Market Summary: 'The original' gadget view of Google Finance's Market Summary. With support for Google Finance Canada, and custom height control. Stock Ticker: A live stock ticker with real time quotes from Yahoo! Finance. Money Tip of the Day: Daily tips about finance and money matters. Sports Photos of the Day: Unofficial sports news in photos from Reuters. Top 10 Digg Sports Stories: The ten most popular stories about sports as voted by Digg's users. EPSN Tabbed Sports Feeds: A tabbed news widget from EPSN.com which is completely customizable to suit your needs. Top 5 Movies at the Box Office: Get a list of top 5 Hollywood movies at the box office this week. Free Coupons Finder: Find free coupons, promotional codes, printable coupons, grocery coupons, restaurant coupons, coupon codes, and supermarket coupons. The Bart Board: This is a fun widget indeed! Features Daily Phrases, Quotes, and Sayings that have appeared on Bart's famous chalk board. Google Trends: Google keeps track about what people are searching for, updated each hour. This gadget displays these Top-100 search queries and also displays its hotness factor in color. Document to PDF: Easily convert documents to PDF. How I Did - Weekly Video Tutorial: Explanatory videos of how to do stuff from experts. You can even create your own Google Gadgets which will then be added to this directory for others to use. This would be a great way to attract some new readers to your blog with a useful gadget aimed at others in your niche subject. You can learn more about creating your own Google Gadget on the main code page where you will find explanatory articles, examples and resources. This is certainly something I will look into myself in the near future, with particular regard to useful applications for Bloggers. I would love to hear of any gadgets you create yourselves though and would consider a showcase of Blogger inspired gadgets here if enough people get involved in creating them. Check out this new directory and gadgets for yourself! At present, the unified gadget/widget directory is only available in Blogger in Draft, so if you're interested to try out some of these new features, log into your dashboard via http://draft.blogger.com, click on the Layouts tab and choose to add a new gadget. I would imagine this new system will be fully incorporated into our main Blogger interfaces soon enough as I personally have found no problems or glitches with this new system. Let me know what you think about the new gadgets directory (or particular gadgets you would like to use) by leaving your comments below.